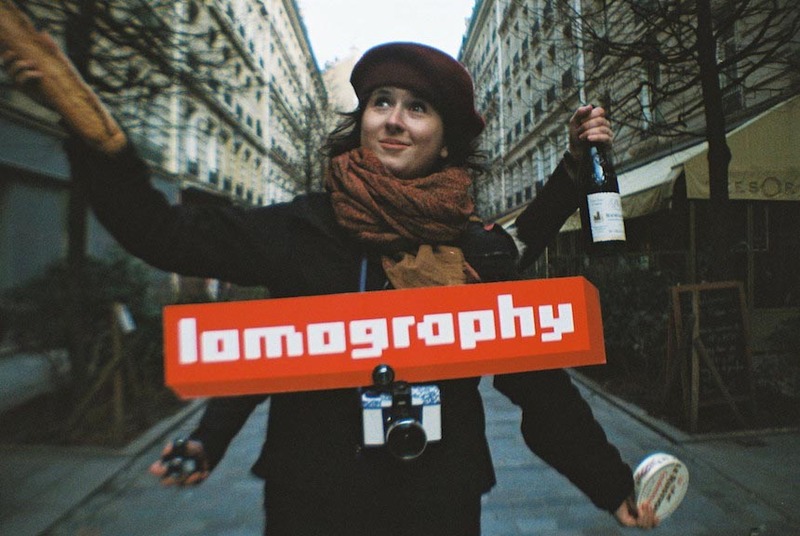 Welcome to the world of experimental and creative photography! 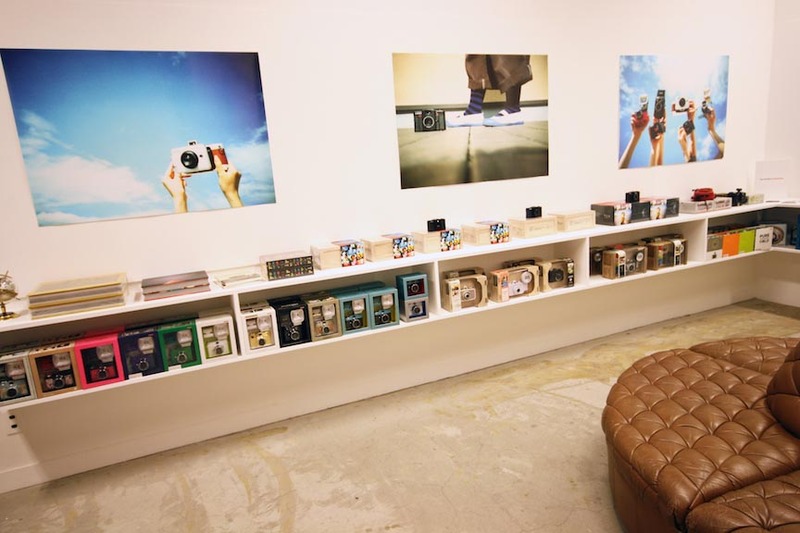 Each of the Lomography Gallery Stores is truly devoted to providing an analogue space especially for Lomographic ventures and cultural treats! 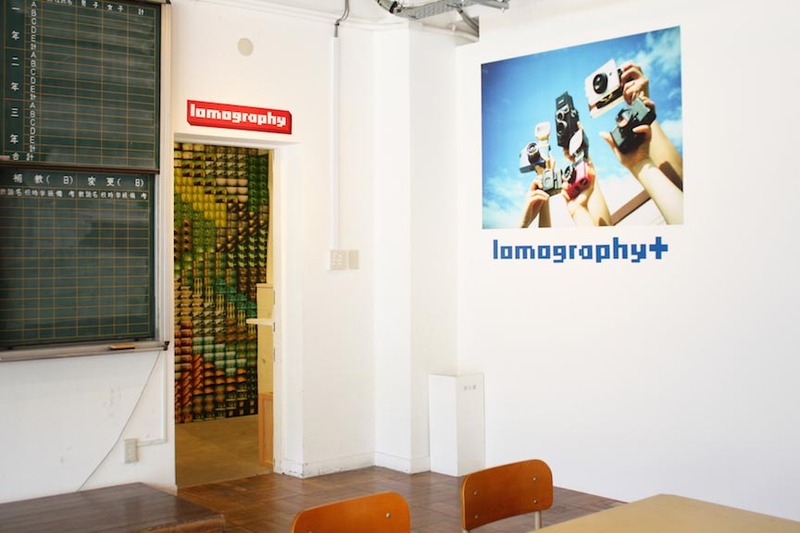 They are home to Lomography meetups and events, serve as galleries and host workshops about analogue photography and Lomographic tools and tricks. 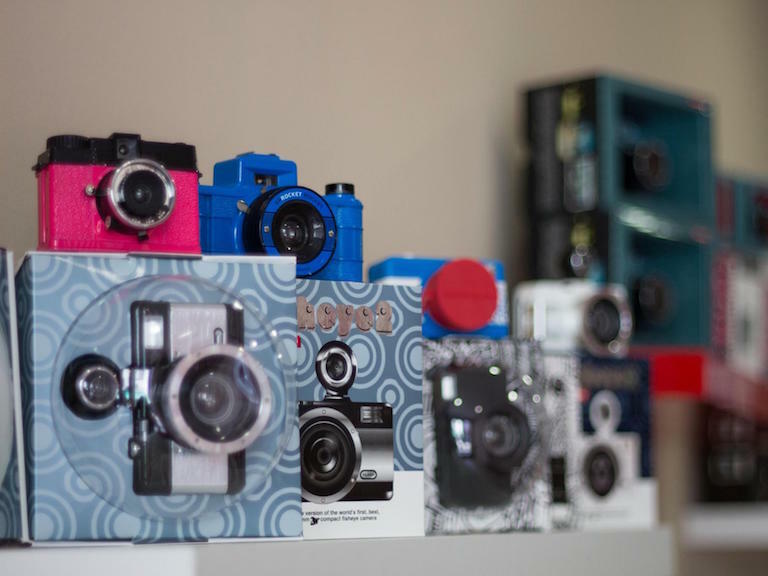 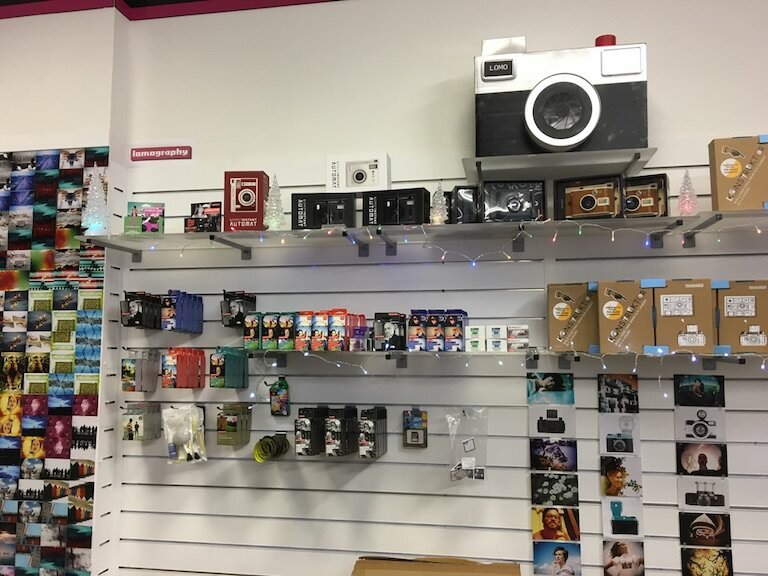 With the full product range, the Lomography Gallery Stores are here for all of your Lomographic needs. 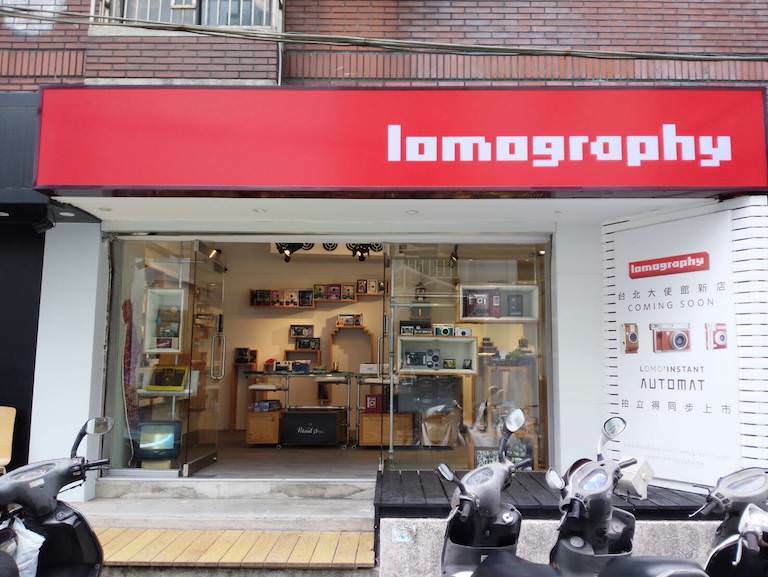 Find us in the following countries: France, Hong Kong & Japan. 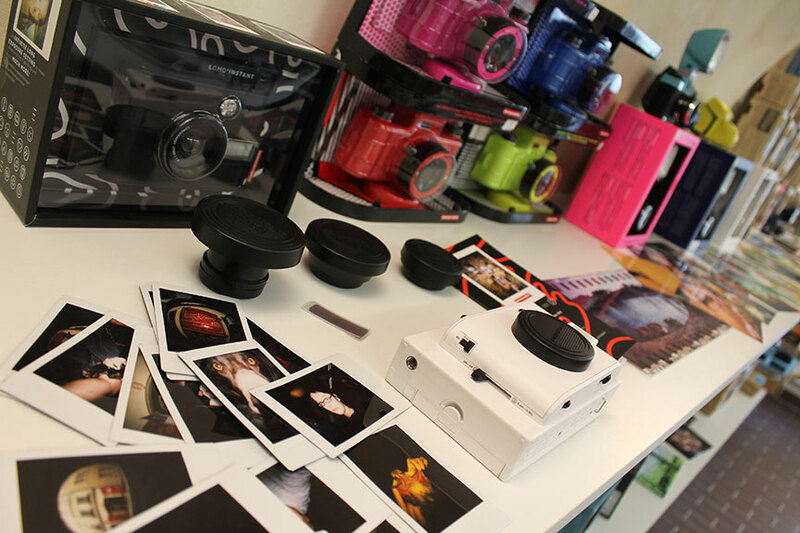 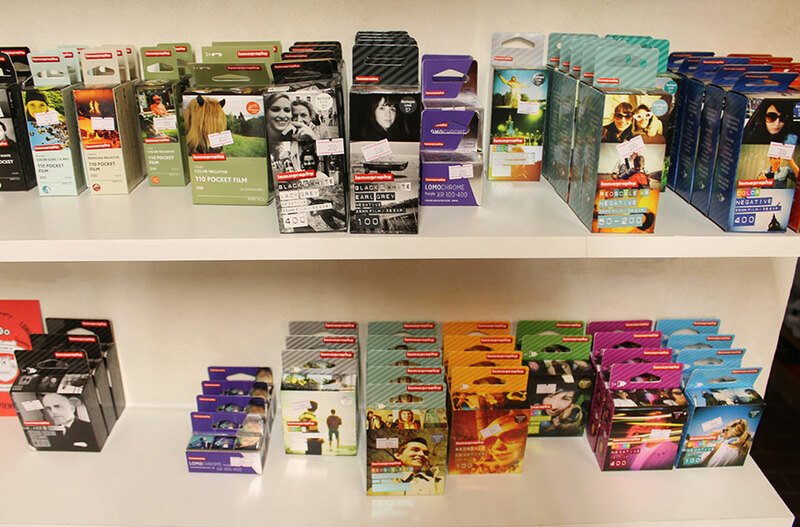 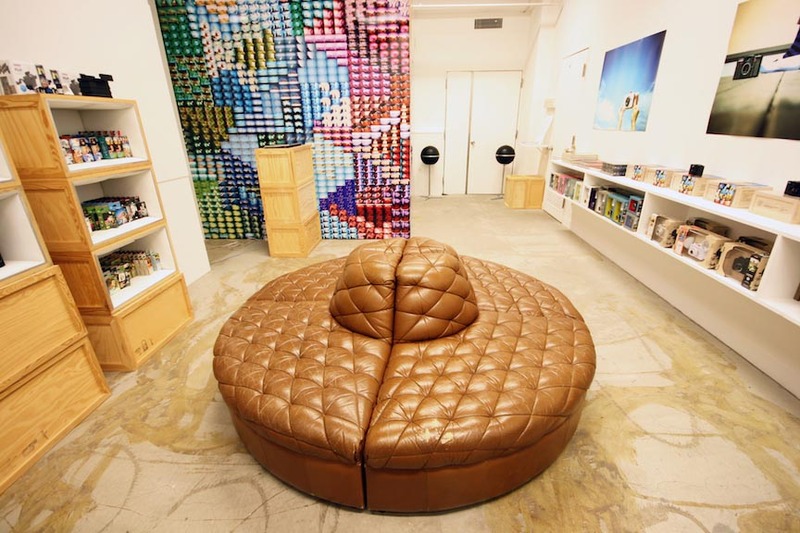 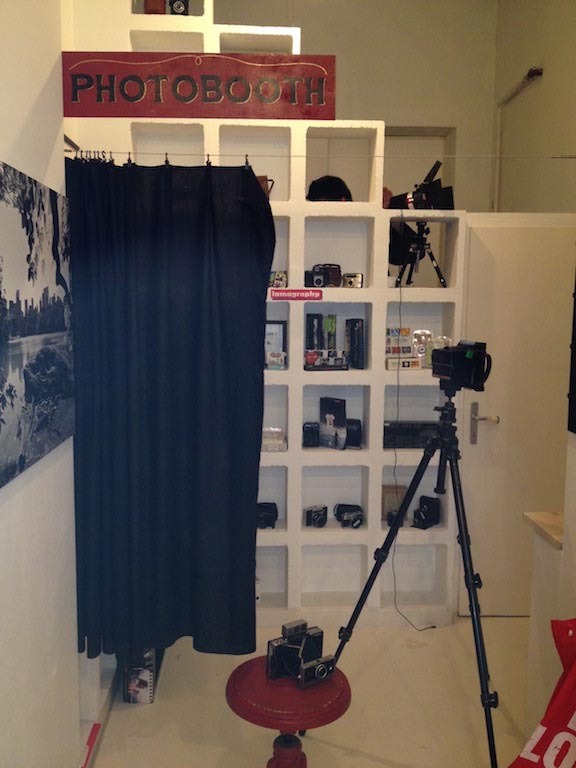 Lomography Embassy Stores can be found all over the world - a real place to get lost in! 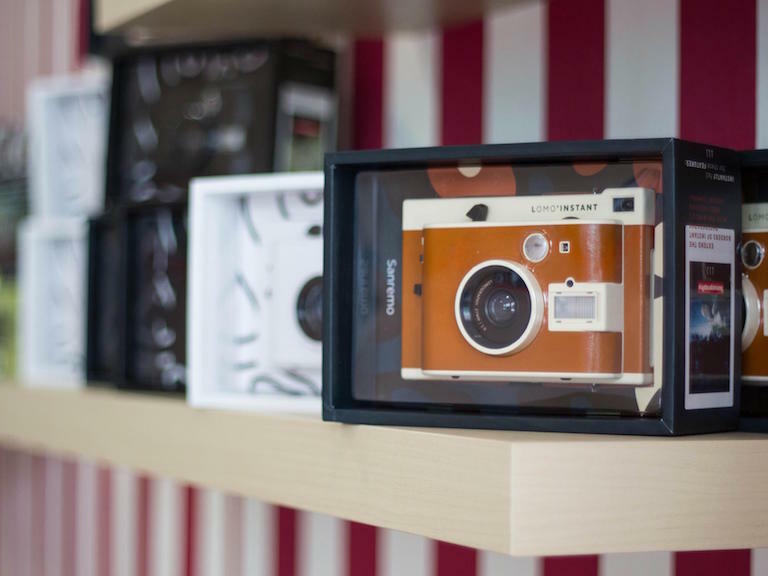 Find a wide range of Lomographic products – from cameras, accessories, varieties of film, and everything in between! 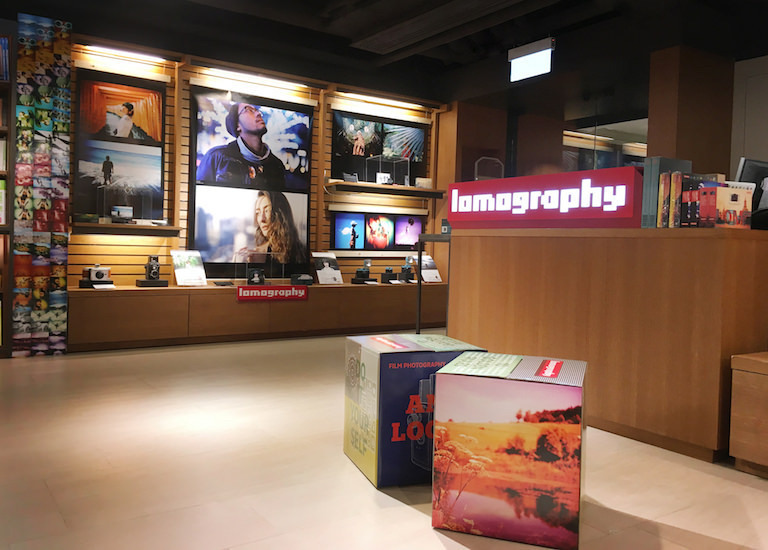 Put simply, the Lomography Embassy Stores are the first contact points regarding all your Lomographic desires so don’t hesitate and visit the one closest to you: Argentina, Chile, Czech Republic, Hungary, Korea, Republic of, Portugal, Spain, Taiwan & United Kingdom. 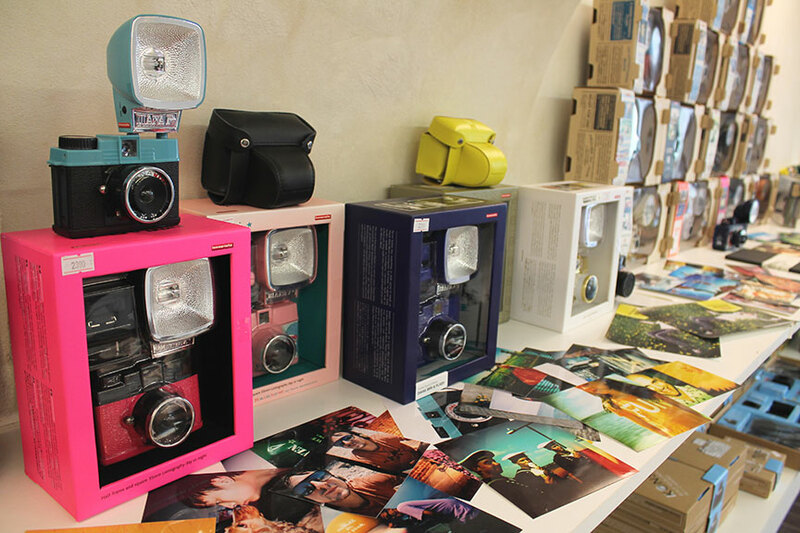 On top of the Gallery and Embassy stores, you can find selection of your favourite Lomography products in the stores of our retail partners. 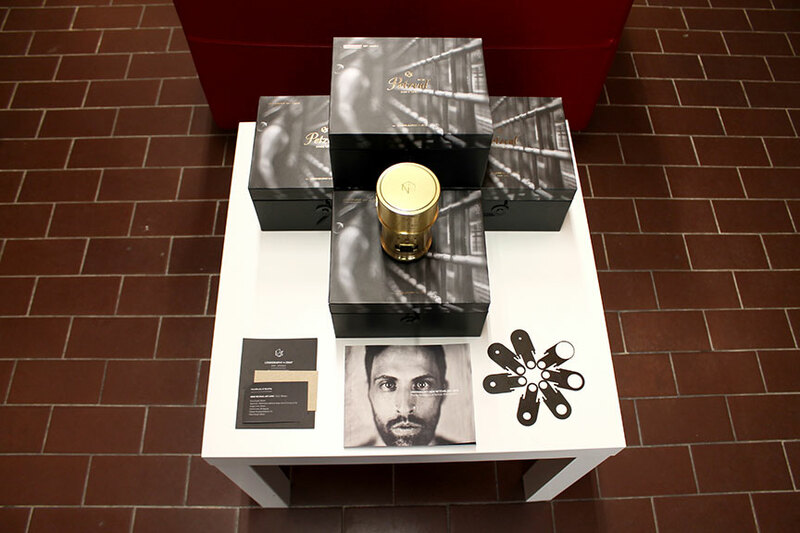 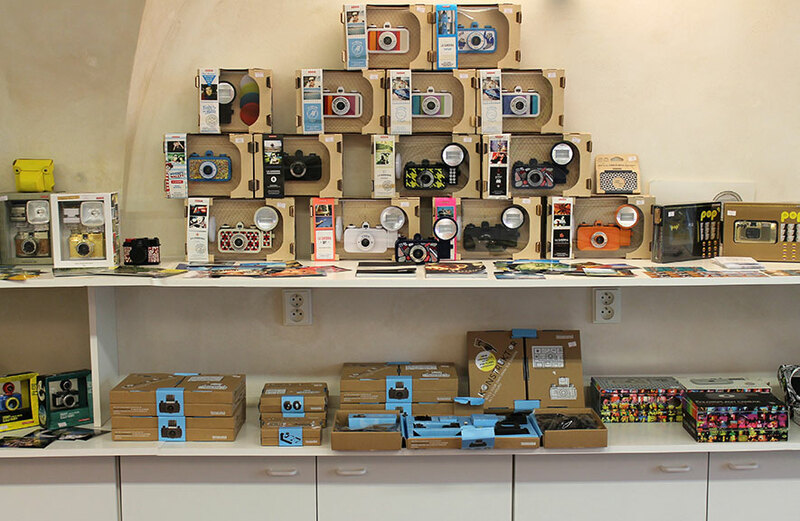 Visit the store or use the contacts to get more information! 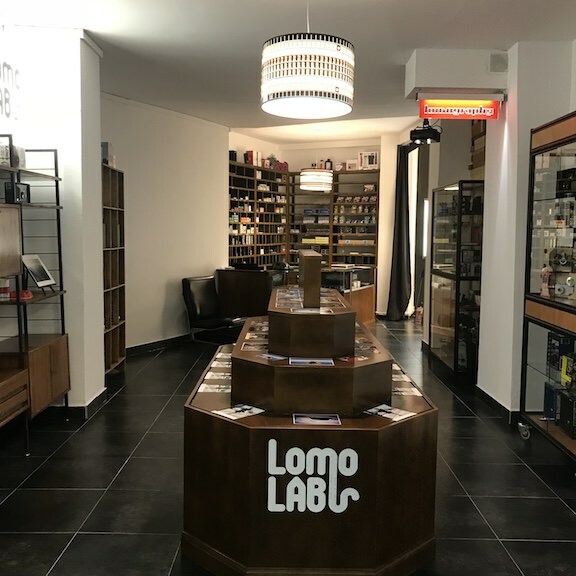 Find our products in the following countries: Andorra, Argentina, Australia, Austria, Belgium, Bulgaria, Chile, Colombia, Costa Rica, Croatia, Cyprus, Czech Republic, Denmark, Estonia, Finland, France, Germany, Greece, Hong Kong, Iceland, Indonesia, Israel, Italy, Japan, Korea, Republic of, Latvia, Lithuania, Macao, Malaysia, Maldives, Netherlands, Norway, Philippines, Poland, Portugal, Qatar, Romania, Russian Federation, Serbia, Singapore, Slovakia, Slovenia, South Africa, Spain, Sweden, Switzerland, Taiwan, Thailand, Turkey, Ukraine, United Kingdom, United States & Uruguay. 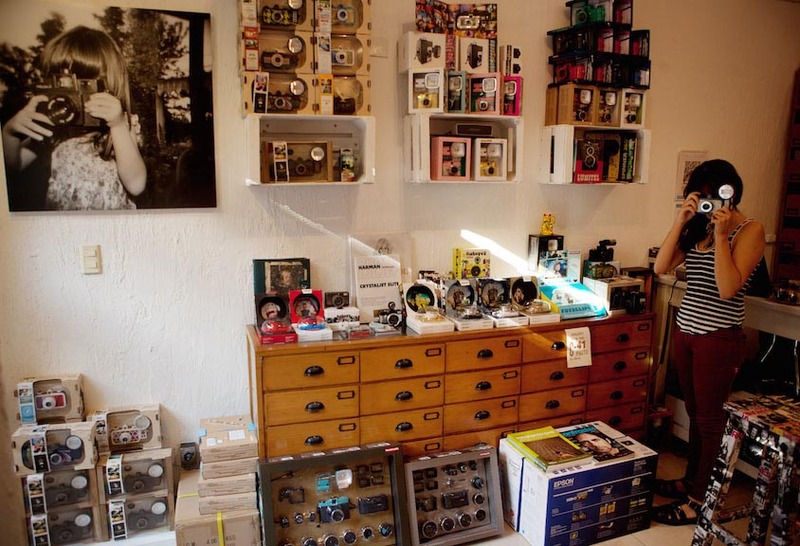 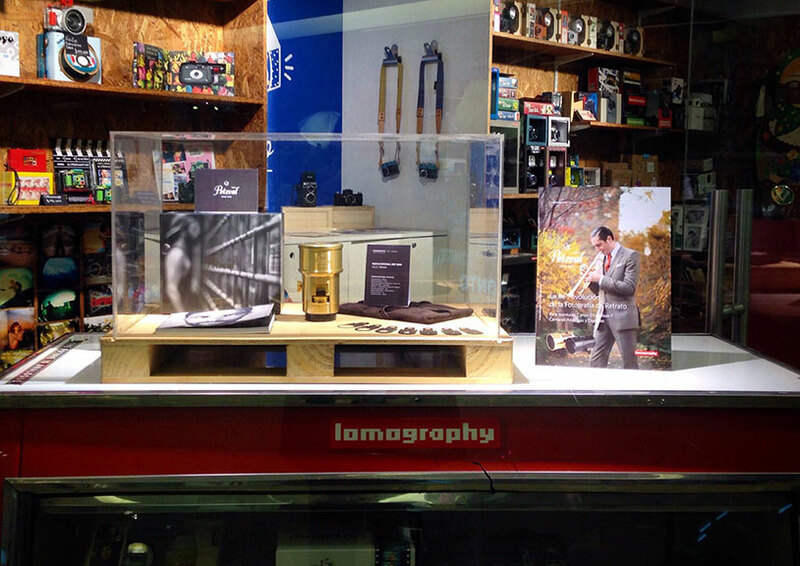 Lomography+ is located in one of the most artistic area in Tokyo. 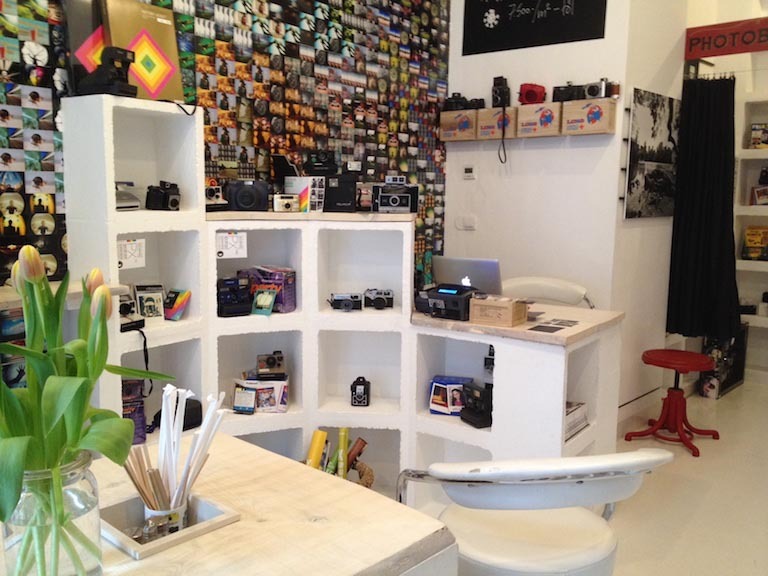 Come and enjoy this creative space that serves as a gallery, shop, workshop space and development lab! 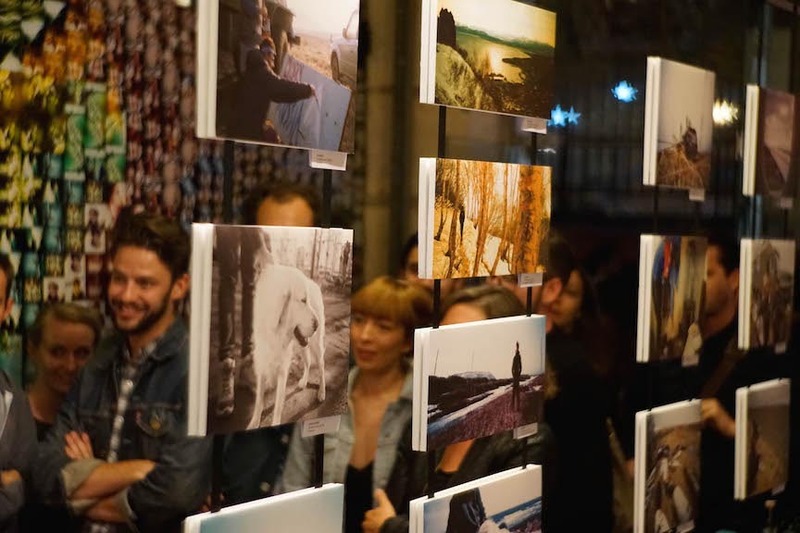 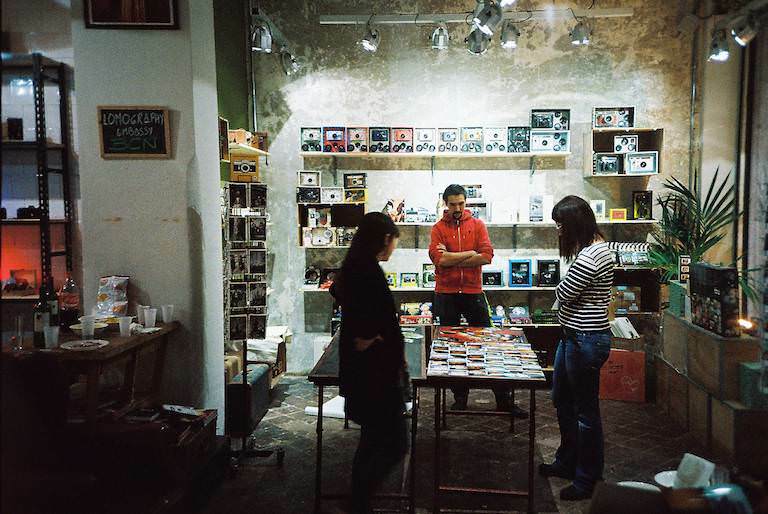 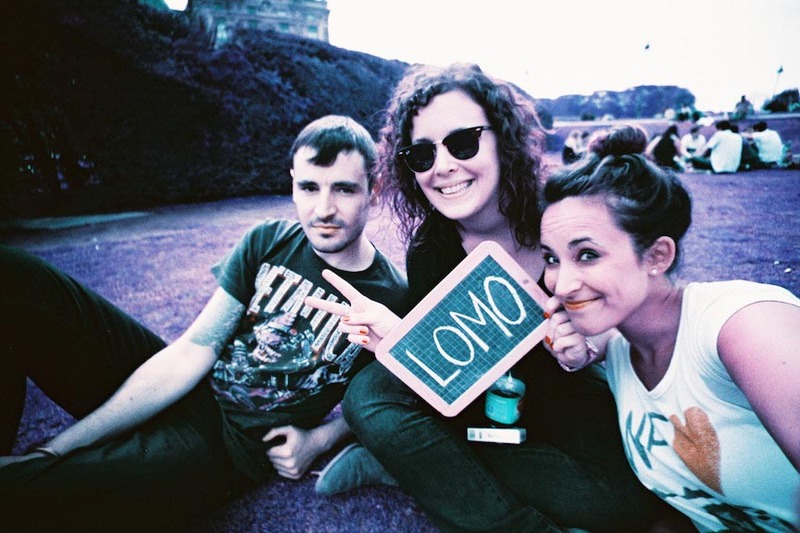 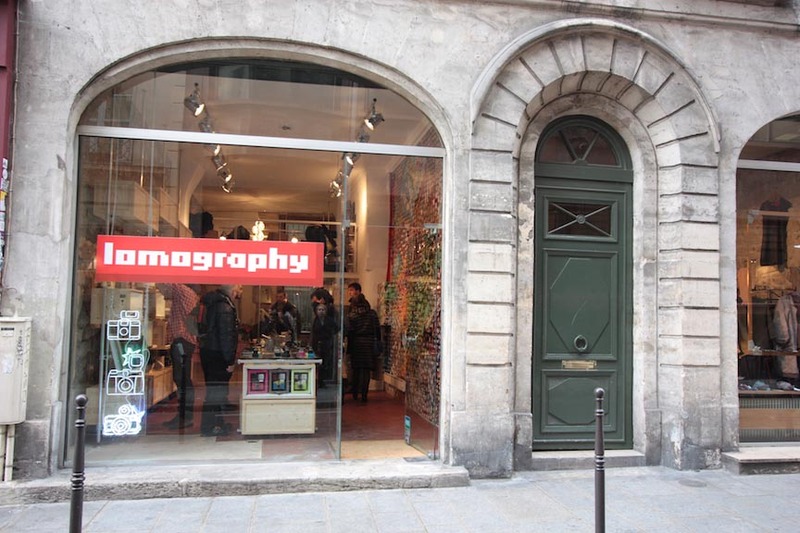 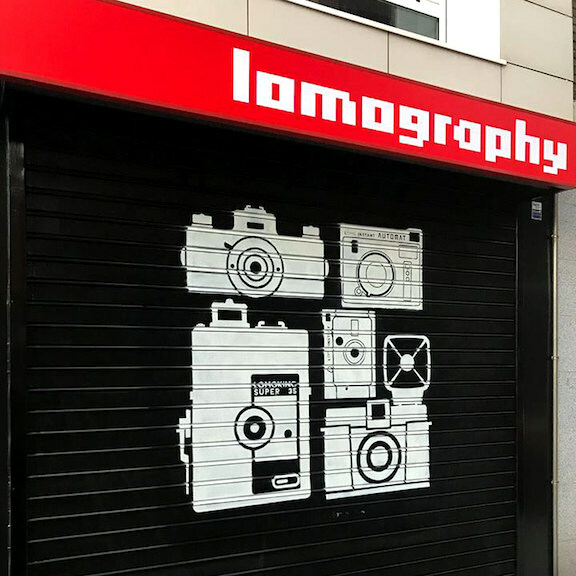 In the heart of the City, the Lomography Gallery Store Paris a cosy shop providing a full range of Lomography products with a comfy workshop lounge ready to welcome all. 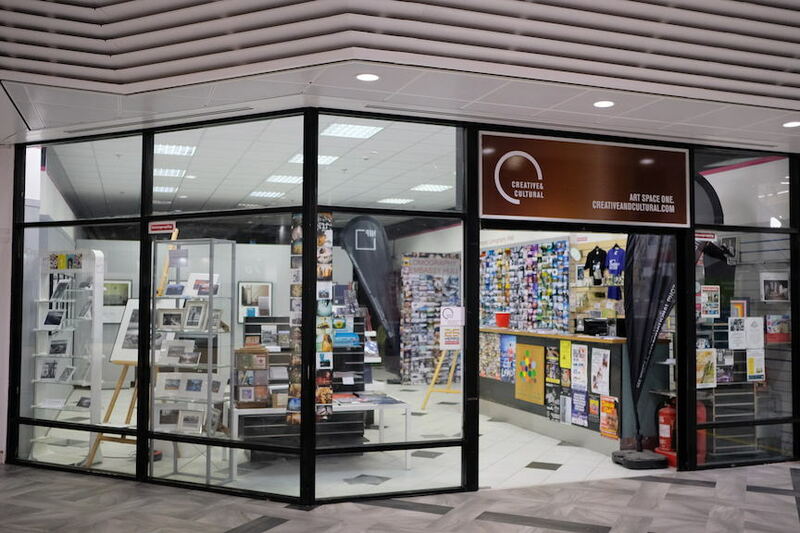 Please note this store is temporarily closed. 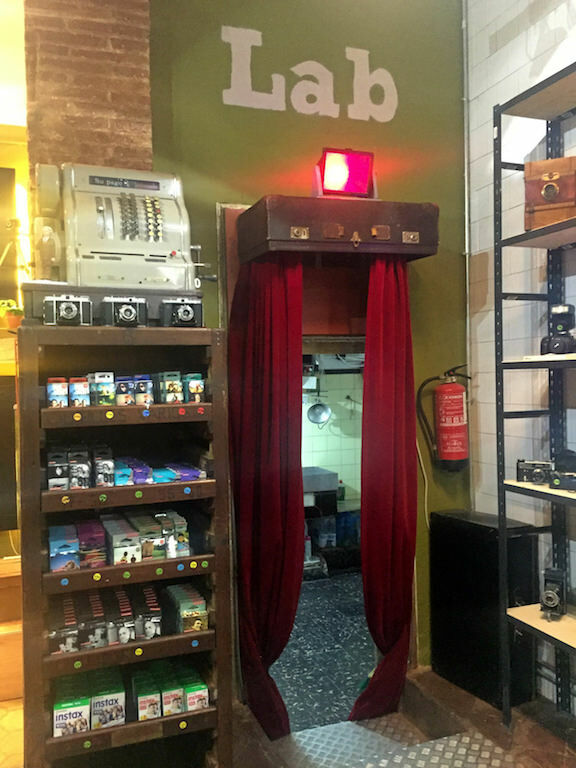 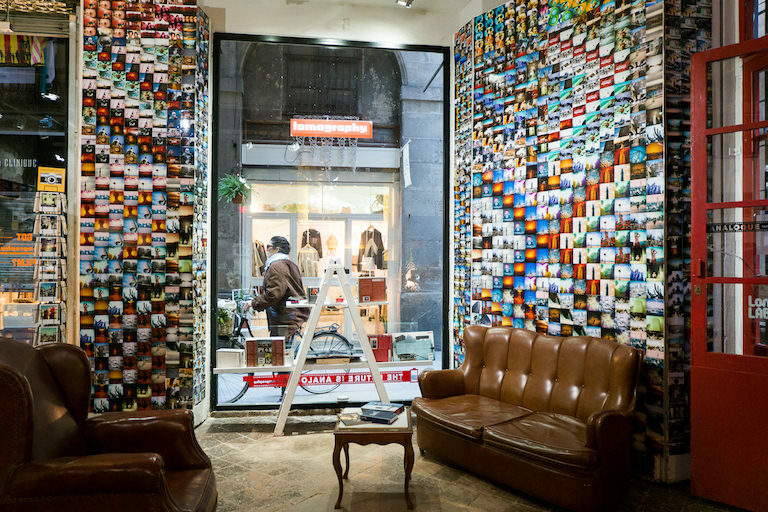 Located in El Born, one of the most touristic and oldest areas in town, the Lomography Embassy Store Barcelona is a must-see on your itinerary. 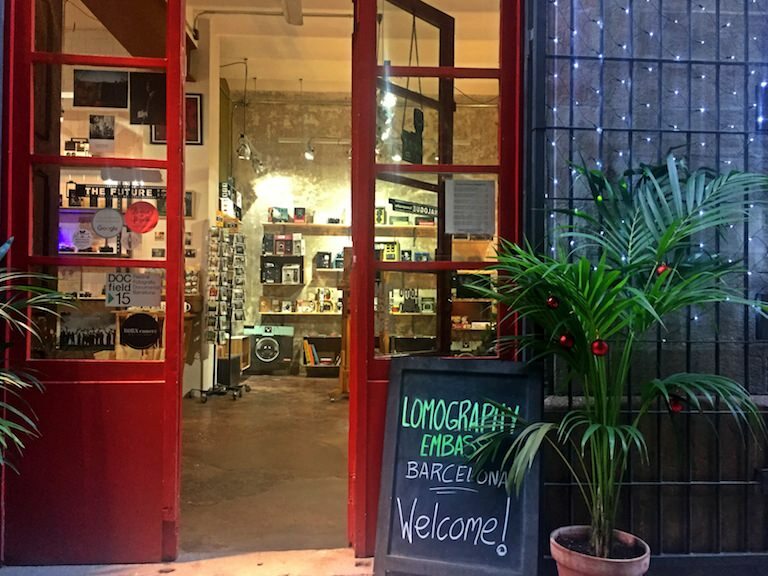 Lomography cameras & accessories, workshops, camera repair & film development services, tons of film… the perfect place for the analogue lover! 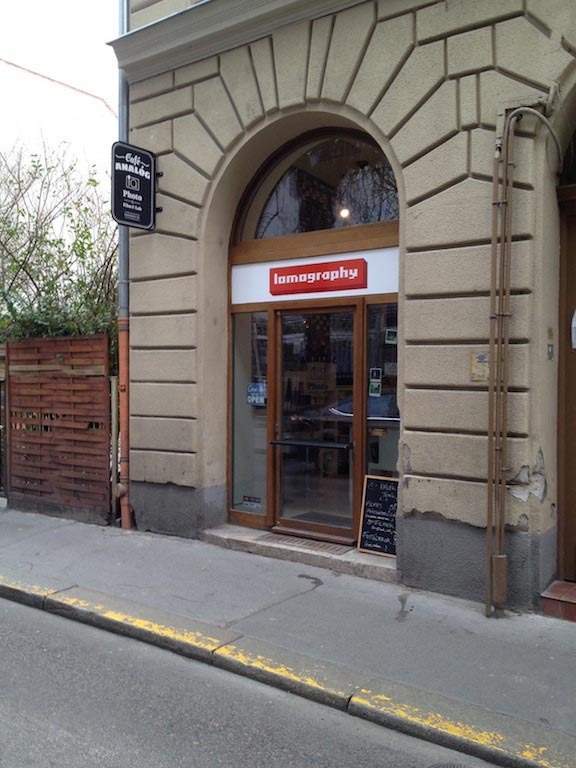 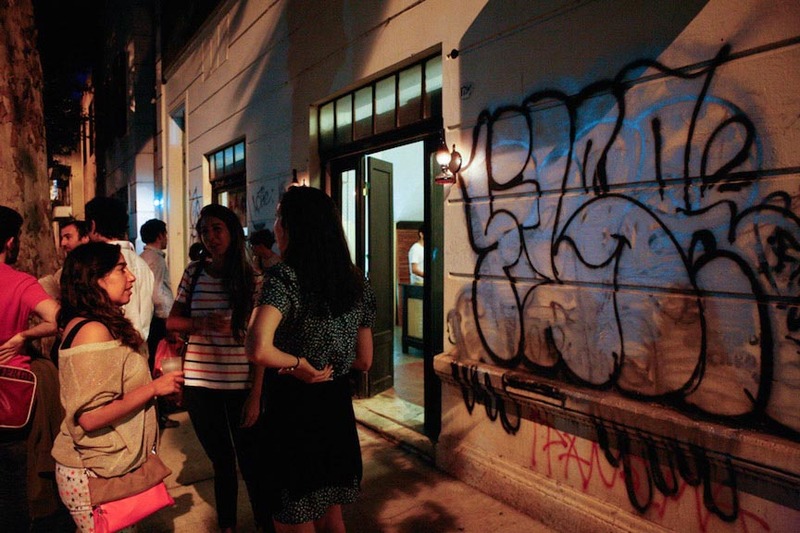 The Budapest Embassy store is located in the downtown of Budapest, where most of the clubs, restaurants, pubs and cafes can be found. 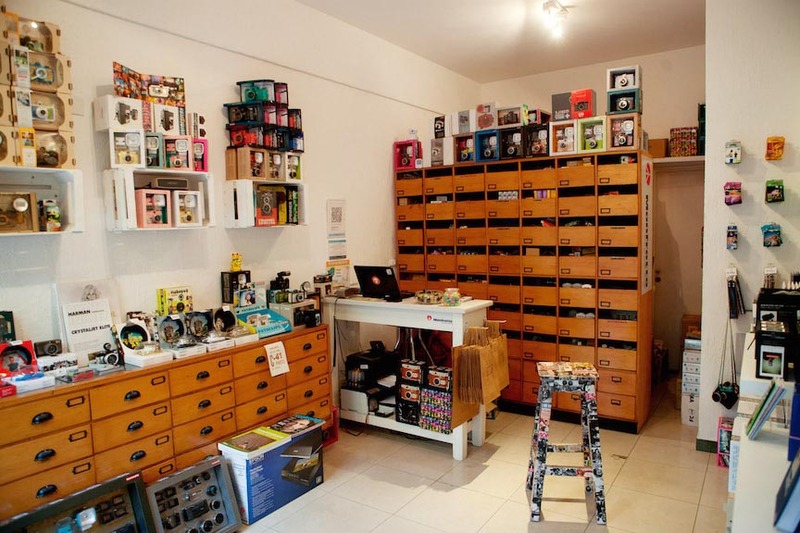 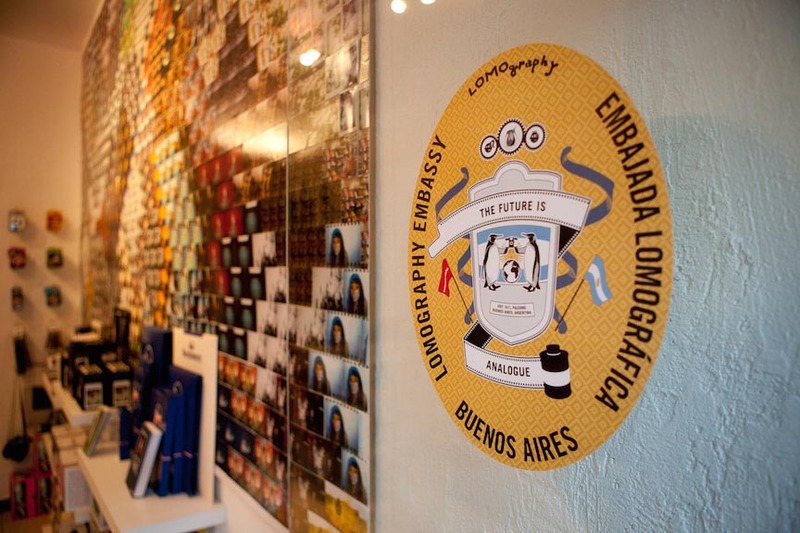 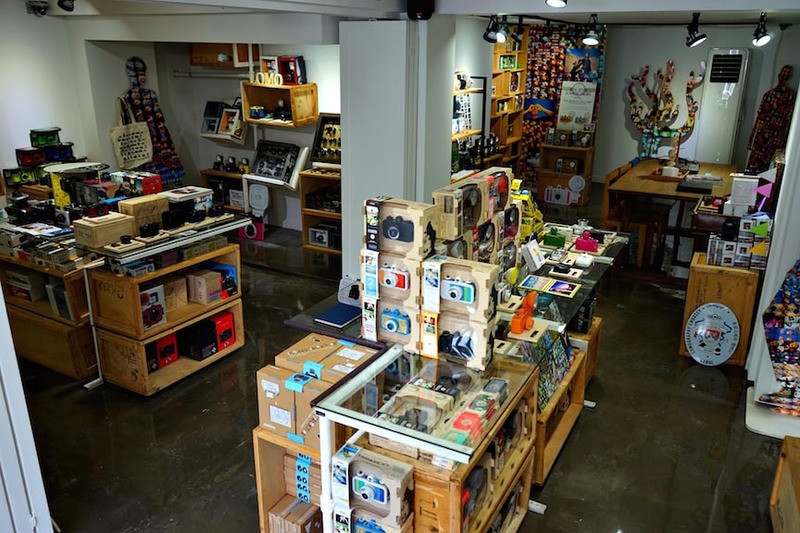 Lomography Embassy Store Buenos Aires is the place to find all Lomography products and activities in the city! 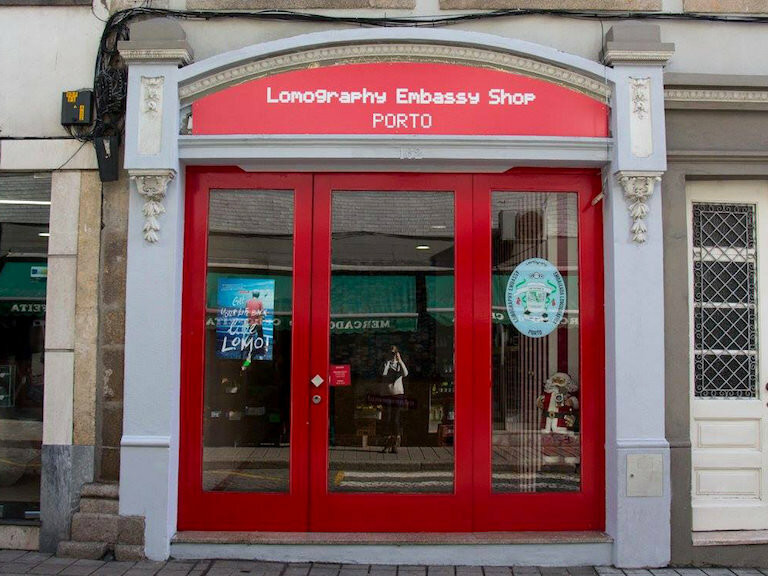 The Lomography Embassy Shop Porto is located in the heart of the city, on a street that is buzzing with art, antique and analogue photography shops. 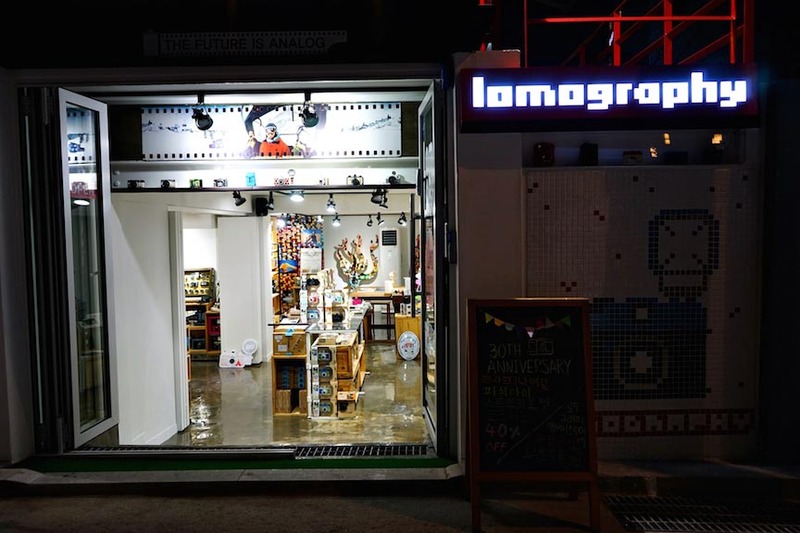 It carries the whole Lomographic assortment, from cameras to film to nourish everyone with Lomographic products, art and chic! 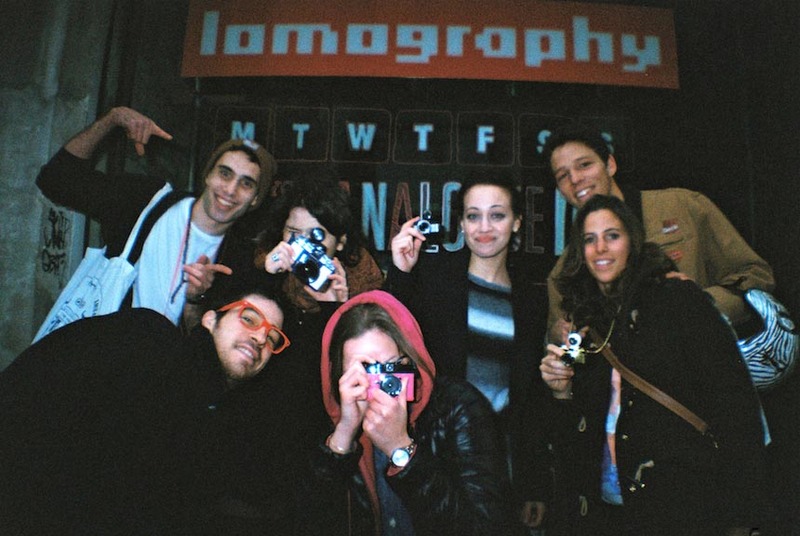 Take part it one of it's many Lomographic workshops or bring your films to be developed in it's photo lab. 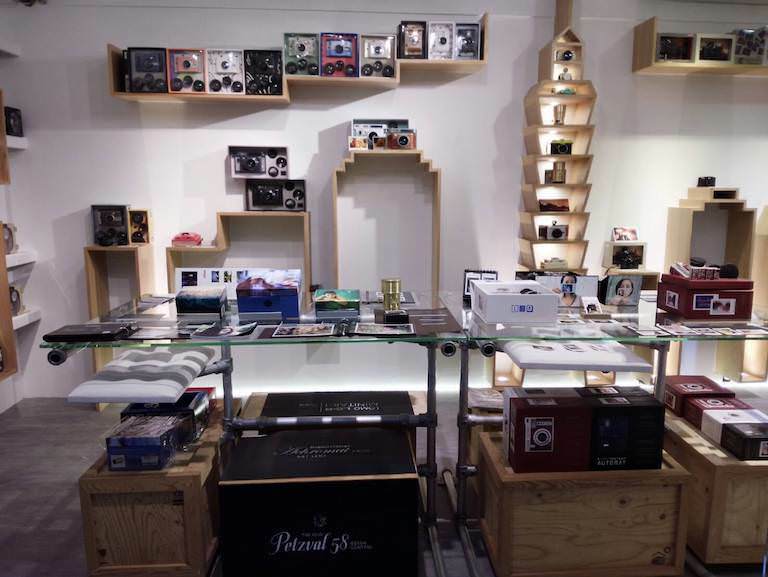 Fans of film photography can rejoice! 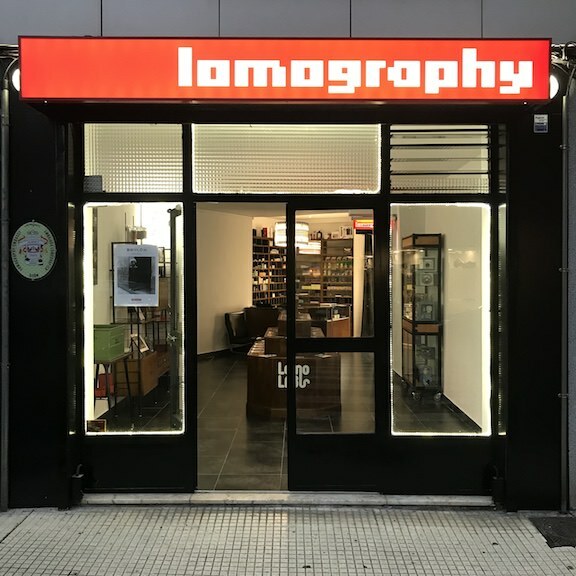 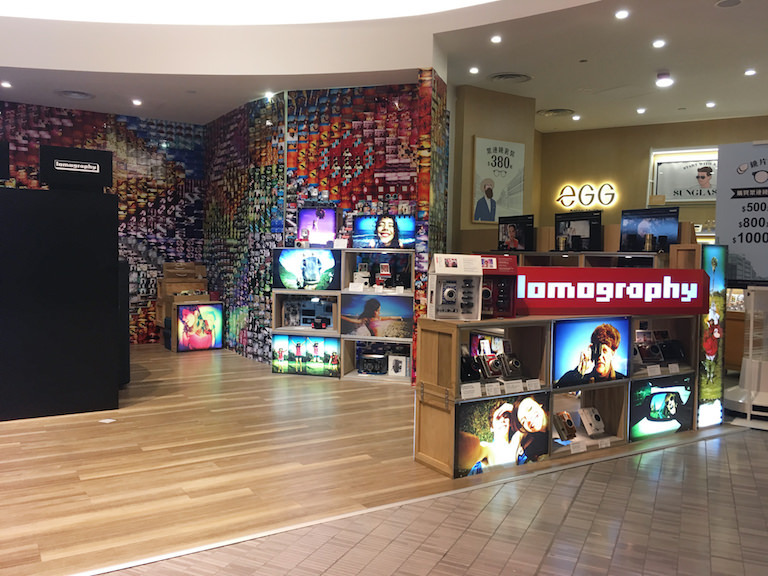 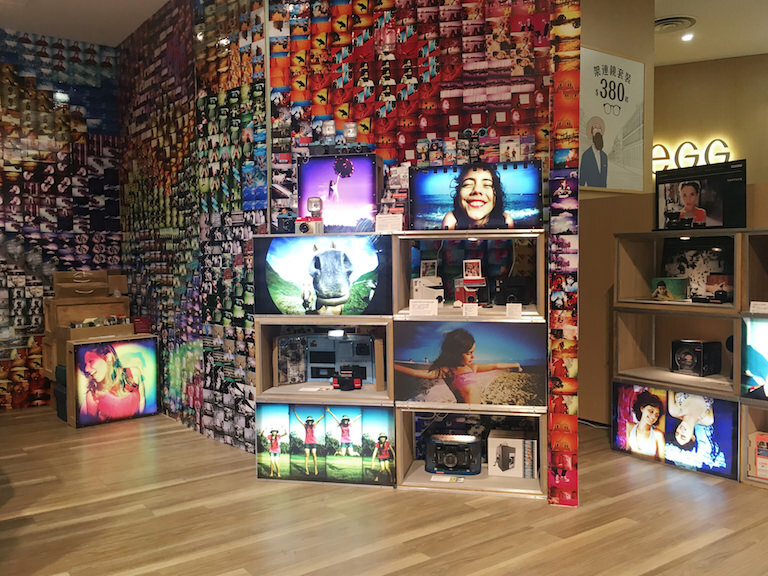 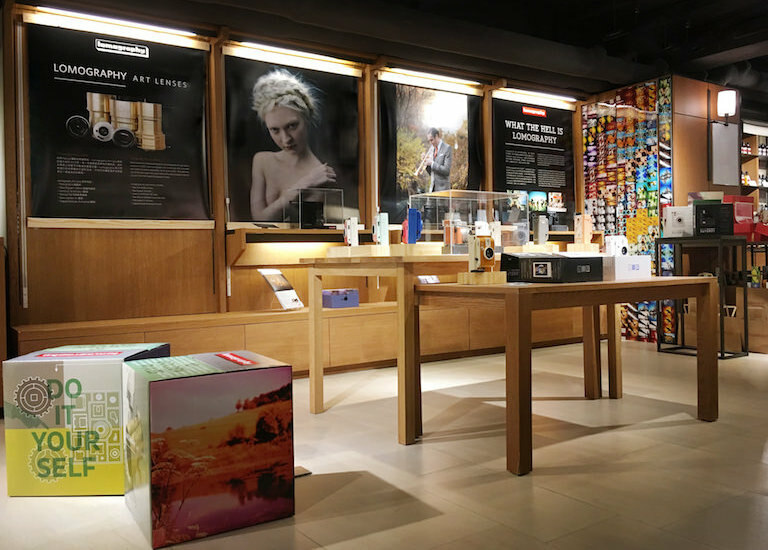 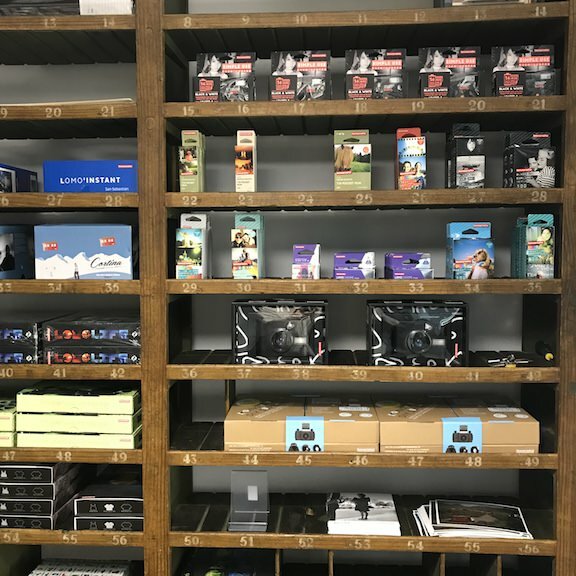 At this brand new Lomography Embassy Store you can find a wide selection of analogue cameras, accessories, films and enjoy various photography services. 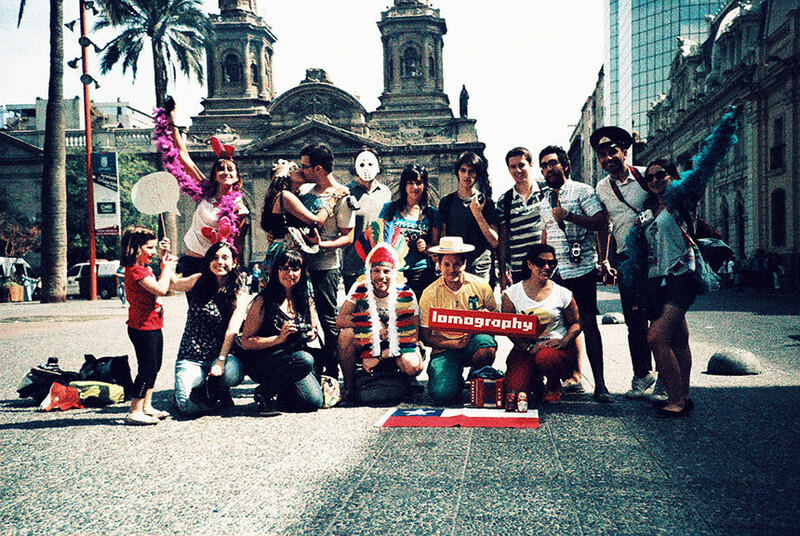 Welcome to the Lomography Embassy Santiago. 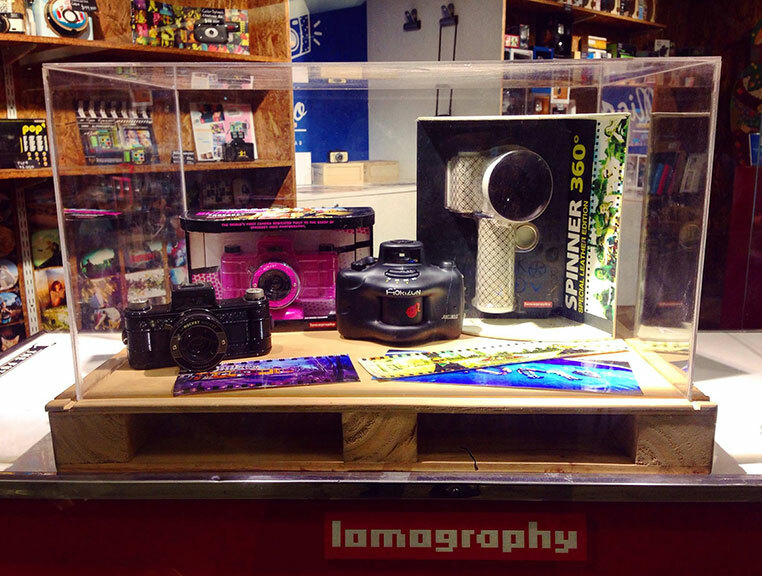 Take a deep breath of the Lomographic Je ne sais quoi and get lost in the whole assortment of Lomography goods! 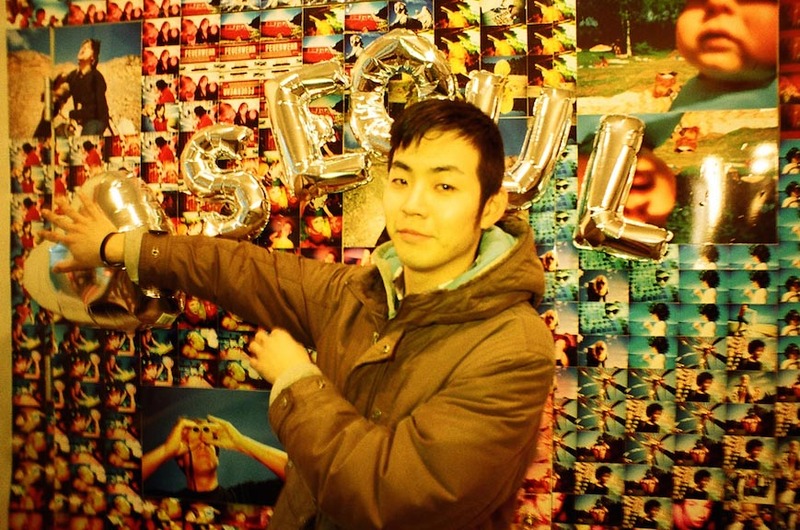 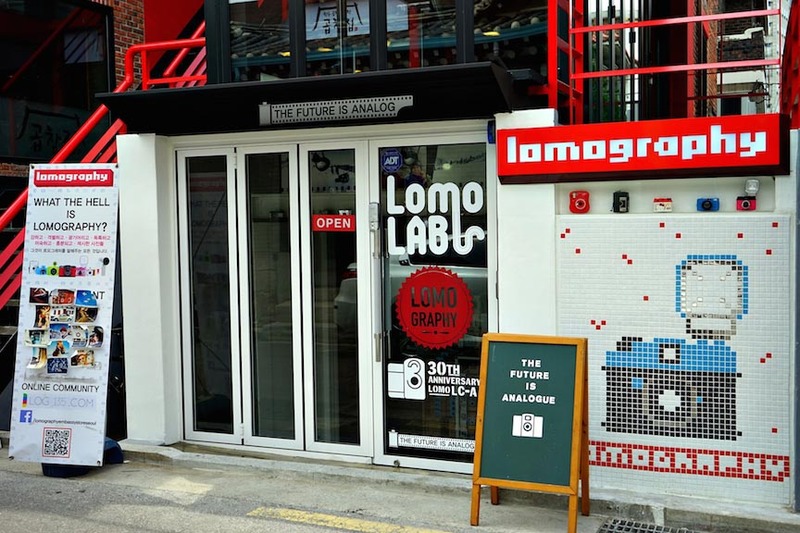 The Lomography Embassy Store Seoul is situated in the Hong-ik University area. 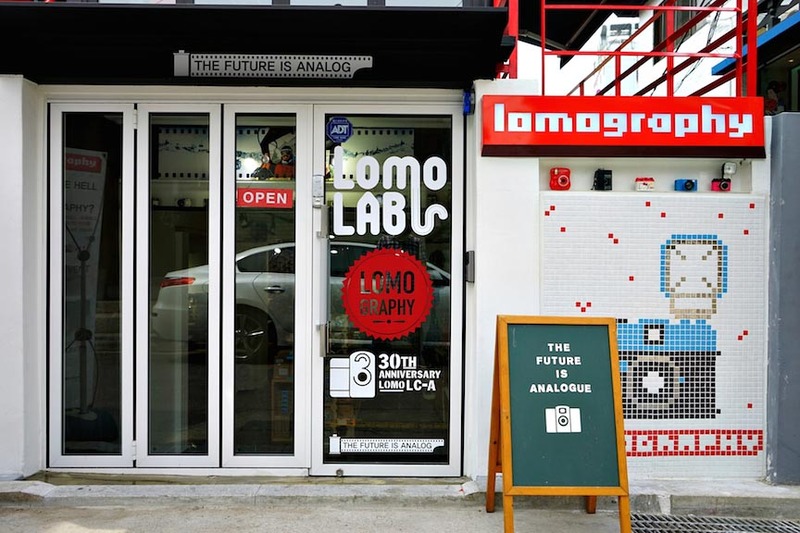 This area is a vivacious and colorful street of Seoul, a tourist attraction by itself. 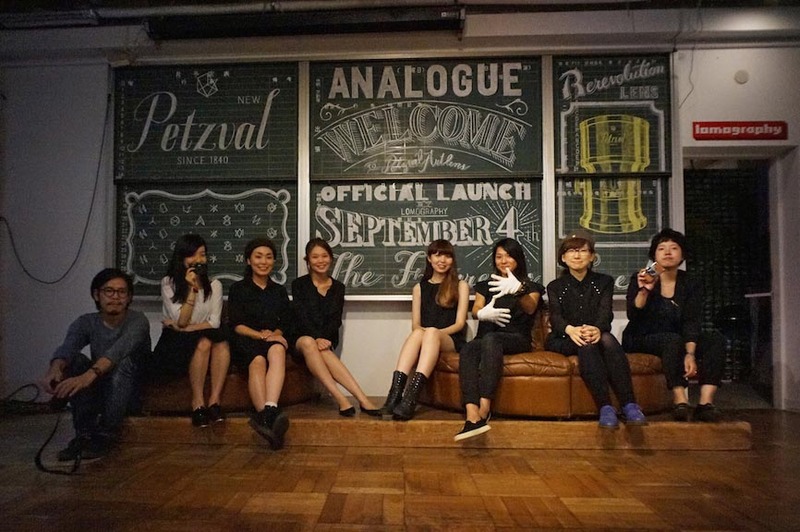 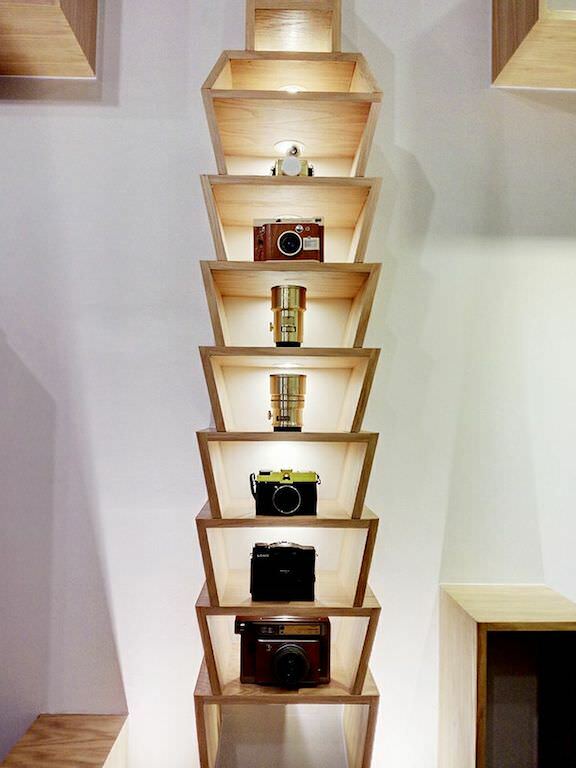 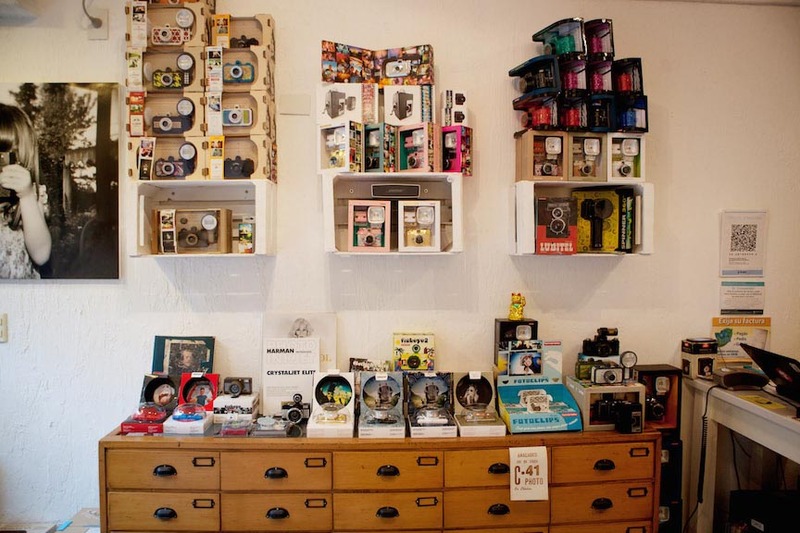 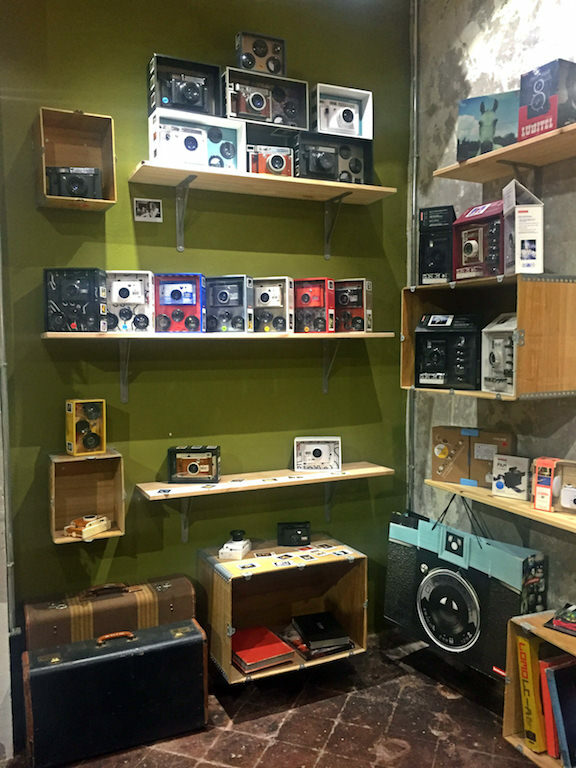 The Lomography Embassy Store Taipei is a comfortable place for analogue lovers. 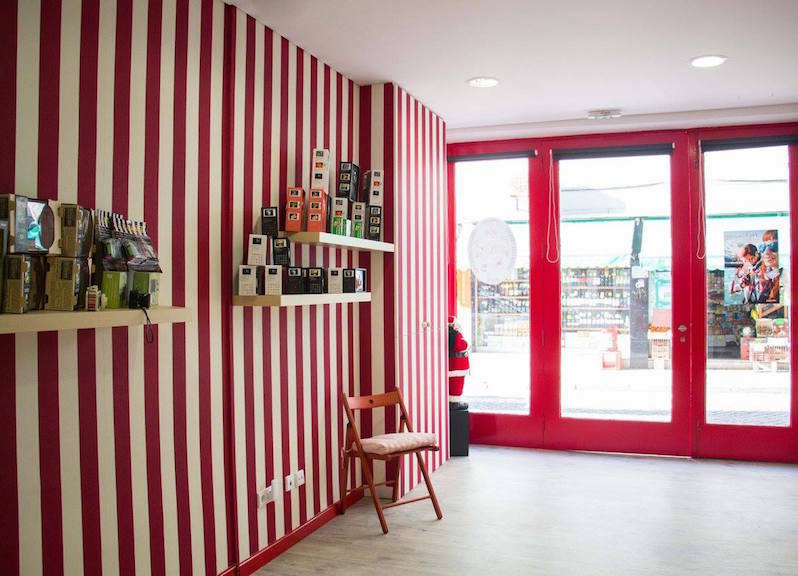 It’s filled with friendly staff offering the best service. 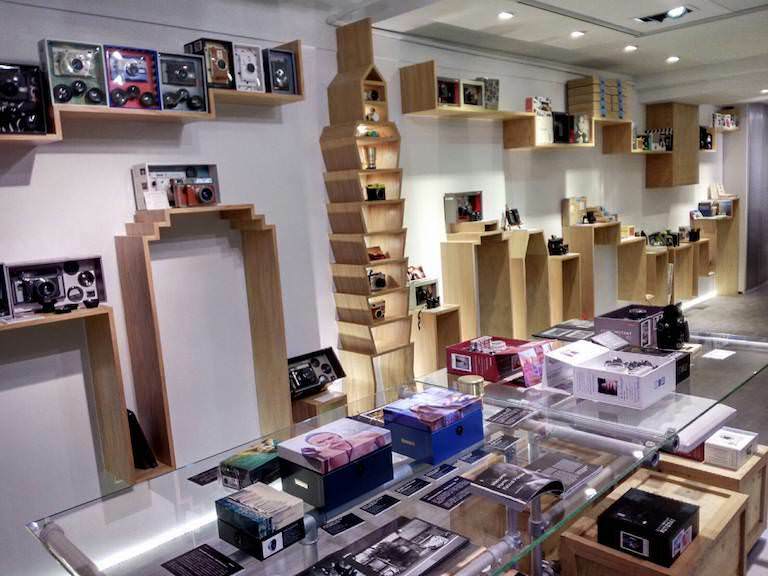 You can also find a spectacular skyline at the Embassy Store. 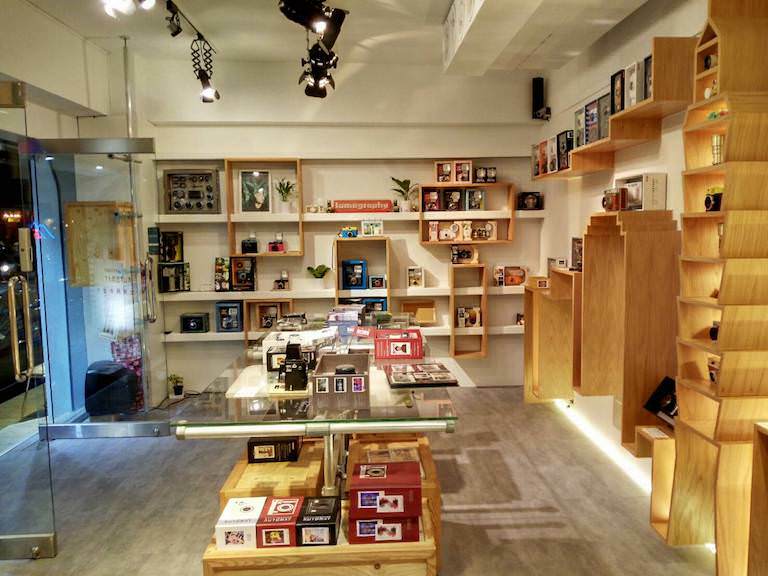 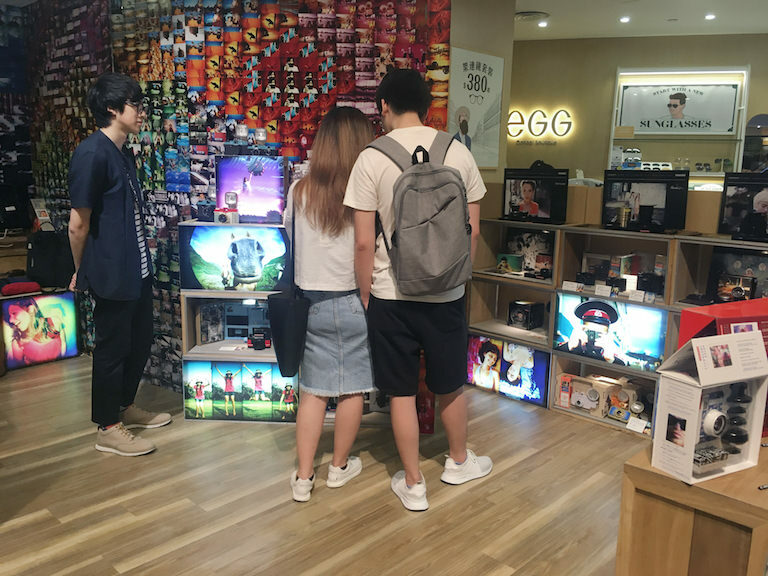 The store is located in the downtown area and is just a three-minute walk away from Exit 2 of the Taipei MRT Zhongxiao Dunhua station. 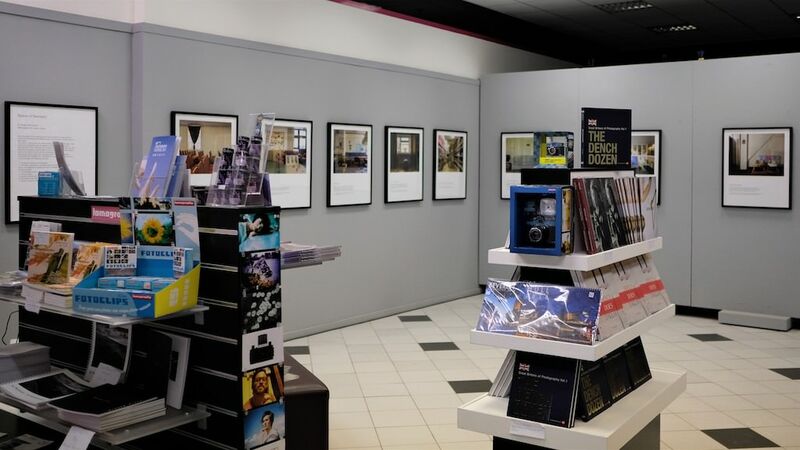 Don’t miss the chance to visit our lovely store and explore the many must-see cultural spots nearby!